Cardiff’s only 5 star hotel becomes the city’s greenest hotel with Green Tourism Gold award. The St. David’s Hotel and Spa is the first hotel in Wales’s capital city to have been awarded a prestigious Green Tourism Gold award – the highest national sustainability standard measured by the not for profit organisation Green Tourism. 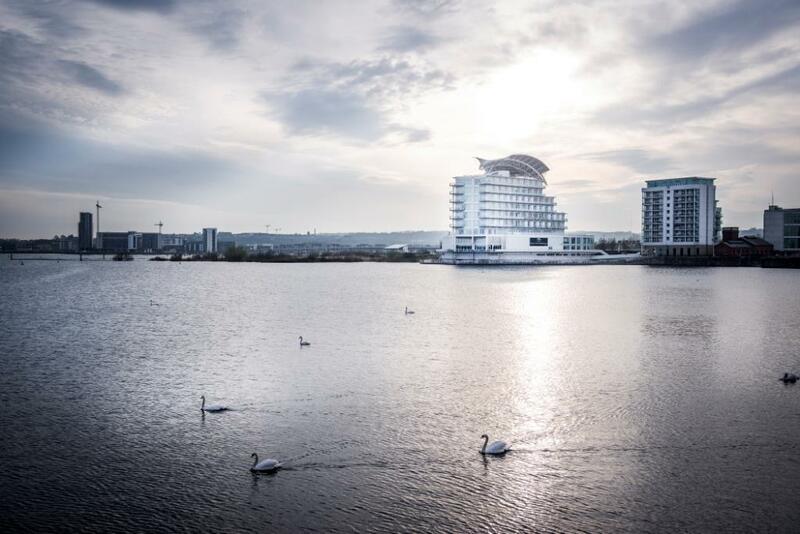 The St. David’s Hotel and Spa in Cardiff Bay was awarded the gold standard following a rigorous assessment process which evaluated water and energy efficiency, waste management, communication, transport and purchasing. The Hotel established a green committee made up of staff from across the business 10 months ago to put together and deliver a sustainability programme for the hotel. The team introduced a number of green initiatives and encouraged hotel guests to think about their impact on the environment. The 142-room venue introduced energy-efficient lighting and sensor lighting throughout the hotel last year, and installed sensor taps and push button showers throughout the Spa area. The team also reviewed their waste policy and continue to actively monitor the efficient use of both water and energy across all areas of the hotel. Green Tourism is the largest and most established sustainable national grading programme in the world and is recognised by UK national and regional government as a crucial part of its drive towards sustainability. David Penker from Green Tourism said: “It is always rewarding to see a business achieving a gold status in our Green Tourism programme. It takes a great deal of planning and pro-activity to obtain this accolade and I’m delighted that the St. David’s Hotel and Spa will now be recognised as a landmark venue, not only for its enviable setting and facilities, but also for its status as a leading ‘Green’ hotel. St David’s Hotel and Spa is the only 5 star Hotel in Cardiff. It offers 142 guest bedrooms, eight conference and events suites, and a stunning waterfront location overlooking the Cardiff Bay Marina. The venue also offers the chic Tempus at Tides Restaurant and Bar and the world class Marine Spa which is regularly voted one of top spas in the UK by Conde Nast.